Accounting and Taxation Centre Limited has been providing local businesses with accounting and taxation services for more than 20 years. We also have a large client base scattered over other parts of New Zealand (and Overseas) that choose to take advantage of our services. As you will see from our Testimonials, this is because we build relationships with our clients, have friendly staff and are interested in finding tailored solutions for your business needs. We make sure we provide an excellent service at an affordable price. We know what is required for a small business to grow. Our company has grown significantly in size since Richard Abel took over the company in 2000. At that time, we had just three staff (including Richard and Rebekah Abel). Now we have a full office of 10 staff. Our growth has occurred organically by way of referrals from satisfied Clients and other business professionals including Bank Managers and Solicitors. Please take a moment to read what they some of them have to say below. We also pride ourselves on being able to give advice on a range of accounting systems or software. (both online and desktop) Some Accounting Firms only provide their clients with One Solution, we like to give our clients a Range of Solutions to ensure that your business has a customised solution for your business needs. Continuity of staff is one of the great strengths of our business and clients enjoy and benefit from dealing with the same staff each year. Because our staff really know and understand your business, we are able to provide streamlined services for a great price. You will see from the details below about our excellent staff, we have experienced team members ready to assist your business. Accounting and Taxation Centre offers a free introductory interview with Richard Abel our Managing Director. Take the opportunity to meet with him and see how we can help you! He climbs the local trails like a Billy Goat (but smells much better), but it's not just his drive to get to the top that makes Richard the go-to if you want to get the best out of your numbers stuff, it’s also because he actually cares about our business, knows his stuff and talks in plain English (sometimes he even draws pictures). Richard and the team have been taking very good care of our Business for 15 years and because he's such a nice guy and has managed to surround himself with an equally awesome team, we plan to be here in another 15 years! Independent Nursing Practice has been a client of Accounting and Taxation, almost from the beginning. We’re still clients because they’re a great team! They always get back to us promptly when we’ve got questions, nothing is ever too much trouble, Richard saves us time by calling in on us, they’re timely with getting our annual returns ready, they laugh when we foul-up and are running in with last minute details, they make sure that our software is up-to-date and they give tutorials when upgrades come down the line. All with good humour. They are professional, easy to work with, and I’m almost too anxious to say this – their charges are very reasonable. They rock! We have used Richard for a number of years now and have always found him to be right on the ball with all matters concerning our taxation. He made starting a new business trouble free and provided much more advice than just numbers and figures. His comprehensive knowledge of all matters concerning business made it an easy way for us to get a good start. He has saved us thousands of dollars over the years with His ability to understand our financial status and of course every tax oriented saving as well. I have been using Accounting and Taxation as our accountants and financial advisors since 2000. I have always been very happy with the prompt, efficient service and the good, sound advice on all family and business finances, and all for such a reasonable cost! Our business affairs have transitioned through many different stages from small scale individual tax arrangements, through to a more complex mixture of personal PAYE, contract, business, rental and trust involvements. Richard and his team have always handled each of these areas with the same thorough professionalism. Even though we now reside in a different part of New Zealand, we continue to employ the Accounting and Taxation team as our family and business accountants. I have recommended several friends to this accountancy practice, and will continue to do so. Accounting and Taxation Centre is exactly what we want - no mess, no fuss (unless you need a fuss sorted, in which case Richard will calm the troubled waters AND your furrowed brow!). At Accounting & Taxation you aren’t just a number, you’re a valued client. Staff are easily accessible and don’t use lingo you can’t understand, enabling you to improve your business knowledge, and your business. We are thrilled with their service and frequently recommend Accounting & Taxation to friends. Accounting and Taxation Centre provides a great professional and friendly service. I like that I can pick up the phone and Accounting and Taxation Centre takes care of the problem and deals with it in a way that fits my needs. It is comforting to know that I can hand over all the paperwork and forget about it! Good value for services received too. Richard and the team at Accounting and Taxation Centre Limited, have been my helping me with tax and accounting issues for more than 10 years. During all that time, tax compliance, tax planning, financing and budgeting have been no problem. Richard has made sure that we have had systems in place to be able to monitor our company’s performance and compliance issues. We have no hesitation in recommending them to anyone!! If you are currently shocked at what you accountant is charging you for basic tax compliance work then give Richard a call, he will be able to save you a small fortune! Nothing is ever a problem for Richard and his team, we always feel that if something is important to us, it is also important to him, this in turn makes us feel at ease. We as a business and as individuals would sincerely recommend Richard from Accounting and Taxation Centre to those that want a friendly, positive experience. Richard Abel has worked in the Accounting/Taxation/Business industry since graduating from Nelson Polytechnic (now called NMIT) in 1998. His training was assisted by working for one the largest Accounting Firms in Nelson. Now with almost two decades in his own successful business, Richard is ready to help you. Richard’s resume also includes teaching NZ Business Degree papers including Taxation and other Accounting subjects. Richard is currently a member (and on the Board) of the Accountants and Tax Agents Institute of New Zealand, The New Zealand Institute of Directors and the New Zealand Trustees Association. For clients that live in Nelson, you might see Richard either running, biking or riding his E-board along the railway reserve (sometimes chasing his kids). 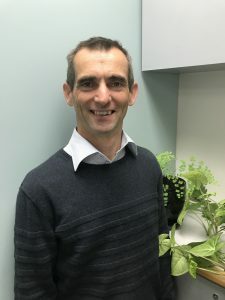 Darren started his career in accounting and business services on the West Coast in 1988 and along with time working for accounting firms in Nelson has developed extensive experience in taxation, audit and business development services for both commercial and primary sector clients. His primary focus for Accounting and Taxation Centre Ltd is providing business development services for our growth clients. Darren provides clients with the tools and knowledge they need to make informed decisions. This sometimes includes the preparation of management accounts, which ensures up to date accurate financial information. Every business is unique and therefore Darren tailors the accounting needs and requirements for each client. Darren is a huge motor racing fan, so feel free to debate with him what is better - Ford or Holden. Mary worked in the same Accounting firm as Richard in the late 90’s and with Richard was part of the firms “Accountabulls” basketball and squash team. Mary’s skills however are more than sporting. She is a Senior Accountant who specialises in International Tax law, Charities reporting and Superannuation. As the Team Leader and Workflow Manager, Mary assists with the quality and flow of work in our company. Our clients like working with Mary as she is able to deliver the financial needs of their business but with a friendly down to earth approach. At times some might say that Mary is “full of air”, but when you are playing the bagpipes this is quite an important skill to have. Linda is the longest serving employee of Accounting and Taxation Centre Ltd. Linda starting here in 2003 after spending many years working for accounting firms or in accounting roles at legal firms. As a result of this experience Linda is able to provide valuable services to our clients who have Estates or Trusts, which includes the administration and end of year financial requirements. 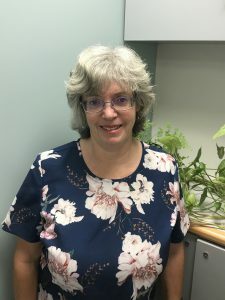 In addition to this, Linda is involved in the preparation of financial accounts and taxation returns for a range of clients including those involved in Horticulture, Agriculture and Forestry. Linda is a firm believer in the importance of seeking accounting and legal advice before engaging in a business activity. Linda is also the office marine and plant expert, ensuring that our fish and plants are well cared for. 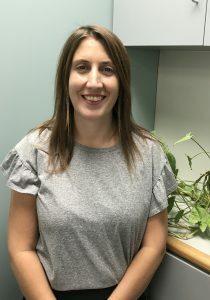 Kathryn joined Accounting & Taxation Centre Ltd in May 2012 after moving to the Nelson region from Wellington in December 2011. Her previous experience includes 20+ years of preparing financial statements for a NZ supermarket chain and accounting consultant for related industry clients. Here at Accounting and Taxation Centre Ltd, Kathryn is a certified Xero advisor and is also trained to use MYOB Essentials, to provide assistance to clients on these cloud based products. Kathryn also prepares cashflow forecasts for clients needing extra financial assistance as well as GST returns, PAYE Filing, Annual Accounts and Tax Return preparation. Kathryn is very approachable and as a result has also become our internal IT support person! Ally originally joined us in 2008 as Office Manager however after a short break away she returned in 2015 as an Accounting Technician. Ally assists with the preparation of rental statements, GST returns, tax returns and also has the responsibility of tax management. Ally has been involved in numerous businesses and therefore has the ability to truly understand the requirements of small businesses. Ally also provides entertainment for the office as she has the best “water cooler stories”. She is also the brightest staff member, often seen in bright pink. Annette previously worked for accounting firms in Southland before moving to Nelson in 2012 with her husband for a change of lifestyle having their own courier and post run. Annette continued with bookkeeping administration as well as GST returns and payroll. She decided accounting was what she wanted to continue with and joined the team at ATC in 2018. Annette is involved in the preparation of GST returns, financial accounts and taxation returns for a range of clients. Annette likes collecting for good causes such as the Blind Foundation, Child Cancer and enjoys the fishing opportunities in the bay. Annette also brings with her that special Southland twang. In April 2019 Shane joined our growing team. Shane has experience in bookkeeping administration and the preparation of wages and GST returns. With the Accounting Industry constantly facing technology changes Shane brings valuable IT skills to ensure that our firm keeps up with the changing landscapes. Shane is working part-time for us and the rest of the week he devotes to volunteer work. When Shane is not spending time working, volunteering or looking after his young family, you might see him climbing the hills around Nelson on his hardtail mountain bike. Julia is the Office Manager sharing that role with Carly since 2014. Her roles include client services, tax management, company administration, debtor management and other administrative tasks. Julia is always willing to go the extra mile for clients, and our clients appreciate her welcoming them into our office. When Julia is not too busy looking after our clients, the office staff get the benefits of her caring nature especially around morning and afternoon tea time which often includes her home baking. Carly has worked for Accounting and Taxation Centre Ltd since 2009. Job sharing with Julia as Office Manager, Carly provides clients with a friendly and warm introduction to the office. In addition to client services, she also has many other responsibilities including assisting with tax management, tax payments, Companies Office requirements and other administration tasks. Carly also assists several clients with the preparation of wages and payroll monthly reporting. Whether you call by phone or visit in person, Carly is always happy welcoming you to Accounting and Taxation Centre. Rebekah is a founding partner of the firm. Originally working full-time as the Office Manager when there were only 3 staff in total (in 2000) Rebekah eventually starting work part-time from home while raising 3 children. Rebekah is an expert in trust administration as well as wages and employment law. When she is not working or looking after her family, Rebekah is often found using her creative skills in the kitchen preparing new and wonderful dishes. Richard obviously has enjoyed these.... too much. Our Accounting Practice is proudly part of ATAINZ – The Accountants and Tax Agents Institute of New Zealand. The Accountants and Tax Agents Institute of New Zealand (ATAINZ) exists to promote the welfare and professional development of its members and to represent members’ interests in New Zealand. It is unique in the New Zealand tax and accounting market because of its grassroots contact with members.